The ceremony was ready. It was time to begin. The large tote was sprayed with an alchemical mix of water and alcohol, to cleanse it from the evil spirits. A sheet of plastic blocked any intrusion from the unseen outside forces bent on disrupting the ritual. With words of prayer sent to the heavens, I began my work. Slowly, with care, I heated the tip of the needle, purifying the steel. I then plunged it deep into the sacred mixture, depositing a small amount of a mystical solution into it. It was said, in ancient texts found in the farthest depths of a forgotten library, that there was a long-lost source of infinite wisdom and crystal clarity, a source of vast knowledge known to the civilizations of time immemorial. It has been depicted in the art of past peoples from all corners of the globe, and was still used in very remote areas as a means of ritualistic and shamanic events. It had taken me many months of research, but I had finally acquired a small syringe of this source... and soon, I would be able to become one with the universe. Within a few minutes, the ritual was complete. All six jars were impregnated with the syringe. All I could do now was wait. I set the jars on a shelf and prepared myself to begin finding the patience needed for the next step to begin. The room is a comfy 21c/70f, and even tho the light shouldn't affect them, it will remain pretty much constant as it is, like the temperature... now that I think about it, that temp sounds a bit cool... What do you all think? Edited by OldAndMiserable, 17 December 2018 - 02:56 PM. Slightly warmer is slightly better, but if contaminants take over it won't be because of the temperature or light, but because of those whole rice kernels (grain is hard to sterilize even @15 psi, for 90 minutes). In the meantime, just keep the jars out of direct sunlight and away from severe drying heat, and start planning the next inoculation...when Santa brings that PC. Edited by WalkingCatfish, 17 December 2018 - 05:35 PM. About posting pictures, if you edit, even a tiny crop, it will post correctly. No idea why. Thanks for the tip, jkdeth! I wouldn't want hot, dry air blowing down on my jars. The layer of dry verm on top of your BRF provides decent filtration, but with those vents literally raining spores over your cultures you're asking that half inch of vermiculite to work pretty hard. Still air is better, even if it means incubating at a lower temperature. Bacterial spores are typically about one micrometre in diameter, and those tiny holes in your jar lids are at least a thousand times wider than that. From a bacterial point of view, that's a mile-wide opening! Also, the verm doesn't prevent moisture loss, which will be significantly higher under a hot air vent. However, as jkdeth has already pointed out, your real problems are likely to be caused by the partially-sterilized whole rice mixed in with your coarse-ground flour. Sooo....hope for the best, but get ready to try again. ... I didn't think of that... I have moved the box back to the shelf. I've been shopping around, but I can't seem to find any perlite locally... darn seasonal stuff... I've been looking at a ton of different alternatives, ranging from standing water mixed with bleach to wet towels to using a monotub, and I'm wondering what you all would suggest? I know it's easy to order online, but I've also got very empty pockets... darn holiday season... so if I can find a temporary fix that is easy/free, I am all for it. I'm open to any and all ideas!! When Home Depot, Walmart, or Lowes are sold out, Menards ALWAYS has it in stock. In fact, they keep the Perlite, Vermiculite, Jiffy Mix, peat moss, compost and even pure RGS on the same shelves. It's like a little mushroom grow shop. 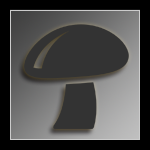 I still like the idea of a monotub (maybe it's the Creator in me wanting to build something! ), so I am gonna learn a lot about them and see what I might come up with for the next grow!!! In the meantime, I'm off to Canadian Tire!!! The standing water on the bottom with an elevated platform is a method I have recently seen someone use with success. Just make sure to salt heavily or bleach the water. An even better addition would be using a fish tank pump with a bubbler in that water. You prob wouldn't have to mist and depending on the size of the pump, fan less as well. For cakes I use a dubtub with 2 16in. Bubblers on the bottom covered with about 3.5in. of hydroton or perlite, and enough water to cover the bubblers. I use at least a 40 gal fish tank pump, for those. I then put another line with a 20gal pump and tiny bubbler inside a small cup of water, and place this in the chamber as well. I use a hot screwdriver to place holes just above the perlite, 1 every 2 inches or so, and the same near the top of the chamber as well. This setup is then sealed with tape to secure the 2 totes together, and micropore tape is used to cover the holes on top, and is fully auto from there. No misting or fanning required. And yes, I know, this is basically a PMP with more bubblers and bigger pumps in order to insure ample FAE. For trays and casing which require less humidity, dont use the third small bubbler, and remove all the tape from the holes. The positive pressure from the pumps means contamination cant get in through the holes. Edited by Deleena24, 18 December 2018 - 12:01 PM. I was thinking about the grow as I was out, and I thought it would be neat to try a few different methods! I have 6 rice jars, so if I were to do three groups of two and do three different fruiting attempts; normal pf tek w/perlite (got 2 bags from Can. Tire!) for sure, but try the dual chamber terrarium, monotub and/or the aquarium/standing water, I could make comparisons and see which works best for me! I agree with everyone in that you should steam them for much longer. I did not know you weren't using a PC. You can still pull it off, but if they contam you know why and can try longer steam times. I like trying multiple methods, it allows you to learn what you like best, because honestly there is no "best" way. Edit- the setup I described above can be used in a large monotub as well. Edited by Deleena24, 18 December 2018 - 03:12 PM. No. PF tek works with brown rice flour. Nothing works better. Changing the tek risks failure or poor performance. Especially grinding up random things. Without a pc. Sounds awful like peanut butter with the shells added! What happened to sticking to a tek and following it? I am still doing the tek. I'm not swapping out anything or changing the steps. Since I started this thread, I've been all about the tek. These ideas are for future attempts. I'm not saying I am going to use these ideas instead of the tek; I have already inoculated 6 jars following the Masses pdf, so it's a bit late to do that now. I was just thinking about all the different things people use: rice flour, corn, straw, poop, and so on... I was wondering to myself about what else could be used, and so I decided to ask here, to see what y'all thought! Pretty much any whole grain can be used for spawn, but stick to one and master it before moving on. Rye berries, popcorn, and WBS are the most popular, but if I had access I would use only whole oats or wheat berries. They're so easy to work with...rye berries being the next...rye grass seed is also very easy to work with and can be done with a no soak no simmer method which is super simple. No drying either. Just make sure you get some gypsum to add too soak water...makes things easier every step of the way. I've read that gypsum is key in some teks... got me some researchin' to do!! I just checked the jars, cuz my impatience got the better of me, and I'm not seeing much. I remembered that colder temps make for slower growth, so I grabbed some old socks from the back of the dresser drawer and wrapped each jar in one! They're in little sleeping bags! I'm thinking this will help warm things up, making for quicker development. What does you all think? Not a bad idea...it should help retain the heat generated by the mycelium.